Our range of products include automatic metal cutting machine, metal cutting machines, metal bandsaw machine, stainless steel cutting machine, pipe cutting machine and metal saw machine. Coming in virtually maintenance free construction support, these Automatic Metal Cutting Machine options feature presence of emergency stop button that assists in safely shutting down the system motion and cutting process including supply of oxy-fuel gases to torch. Featuring presence of high frequency spindles with spindle maximum RPM of 16,000 and hole sizes of Ø2 to Ø3H12, these Metal Cutting Machines also come with advantages of flexible fixtures as well as choice of angle adjustment so as to provide better functionality support. 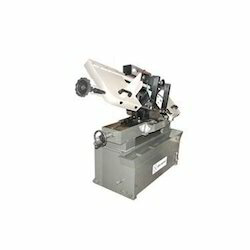 The machines are so designed that these assist in maximizing performance of blades. 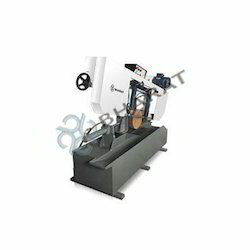 We are one of the leading manufacturer and supplier of Metal BandSaw Machine. 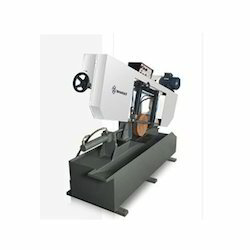 Providing for superior miter cutting capabilities, these Stainless Steel Band Saw Machine options are suitable to be used for light to medium duty applications. Supporting the demands of high repeatability and work accuracy, clamping & de-clamping support and standard accessories support of saw motor, coolant pump, V-Belt, job stopper & roller, hydraulic motor and others.